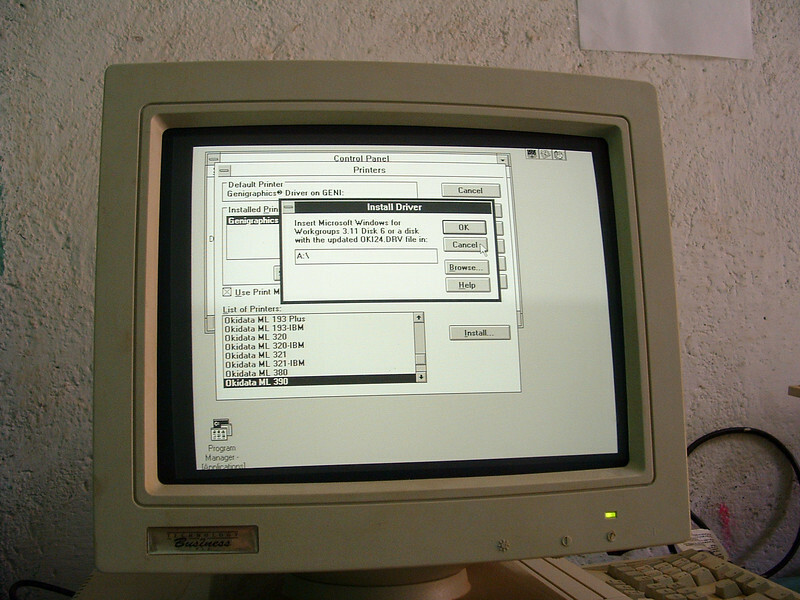 This is one of the computers that still works, and is perhaps of some use. It runs Windows 3.11. Here it is asking for a disk with the printer driver on it. There aren’t printer drivers for the schools printers, but we are working on it.